Happy New Year! Congratulations to everyone who completed the One Year Bible journey in 2018 today! It has been awesome to go through the journey this year with each of you. It is quite a blessing to realize that you've read through God's Word this past year! It has been a huge blessing for me. God has continued to transform me this past year through this journey. Reading through the Bible in a year will change us. For the better! :) For those of you wrapping up the One Year Bible today in 2018, I'd like to ask you to post up your reflections on this experience in the Comments section below. The reason for this request is because we have hundreds of new folks signing up to take the One Year Bible journey in 2019. What advice would you give them? Any encouragement? What has reading the Bible on a daily basis meant to you over the past year? Has this experience changed you in any way? Thanks for sharing! Old Testament - Today we finish the book of the prophet Malachi, and it is an awesome 2 chapters we read today! The first half of Malachi chapter 3 verse 1 is prophesying 400 years in advance of the coming of John the Baptist, who will prepare people's hearts for Jesus by preaching repentance of sins: ""Look! I am sending my messenger, and he will prepare the way before me." This is a great thing to reflect on as we close out one year and begin anew. Do we need a messenger from God to encourage us to repent from our sins? Will we listen to that messenger and make way for the coming of Jesus into our hearts and lives? The second half of verse 1 then prophesies that Jesus is indeed coming to usher in the new covenant, or the new testament: "The messenger of the covenant, whom you look for so eagerly, is surely coming," says the LORD Almighty." The Good News for us today is that Jesus has come already for the forgiveness of sins and Jesus is coming again in glory! Verses 6 & 7 are so powerful for us to reflect upon: ""I am the LORD, and I do not change. That is why you descendants of Jacob are not already completely destroyed. Ever since the days of your ancestors, you have scorned my laws and failed to obey them. Now return to me, and I will return to you," says the LORD Almighty." As I reflect back upon our One Year Bible readings this year, it is so true that God does not change. He has shown so much compassion over and over again to the Israelites in the Old Testament. And he continues to show so much compassion to us today over and over again. In light of God's holy and unchanging love and compassion for us, will we return to Him? As you look back on our One Year Bible readings this year, do you agree with God's statement here that He does not change? Do you believe that all the way from the Old Testament's Genesis to the New Testament's Revelation God does not change? Verse 10 is one of my favorites and one of the most challenging in the Bible: "Bring all the tithes into the storehouse so there will be enough food in my Temple. 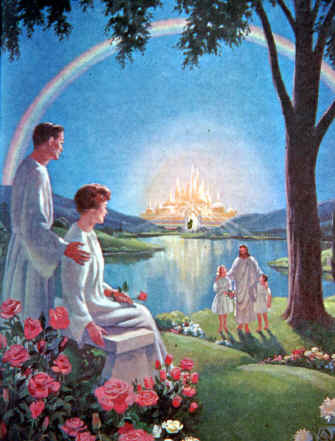 If you do," says the LORD Almighty, "I will open the windows of heaven for you. I will pour out a blessing so great you won't have enough room to take it in! Try it! Let me prove it to you!" This verse has and will continue to be interpreted so many ways. 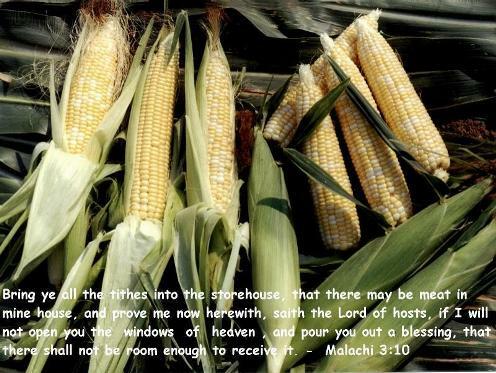 Check out the NIV translation of Malachi 3:10 (slightly different than the NLT version above) - "Bring the whole tithe into the storehouse, that there may be food in my house. Test me in this," says the LORD Almighty, "and see if I will not throw open the floodgates of heaven and pour out so much blessing that you will not have room enough for it." It is very rare in the Bible that God says "test me" and follows it up with an incredible promise of a blessing. This next year, will you test God with a tithe? In this new year, will you trust God with your tithe? Chapter 4 verse 2 makes me smile with the metaphor of us being compared to a calf frolicking in a field: "But for you who fear my name, the Sun of Righteousness will rise with healing in his wings. And you will go free, leaping with joy like calves let out to pasture." Do you want to be set free? Truly free from your burdens and doing things that you do not want to do? Will you entrust your life to the Sun (Son?) of Righteousness, Jesus? 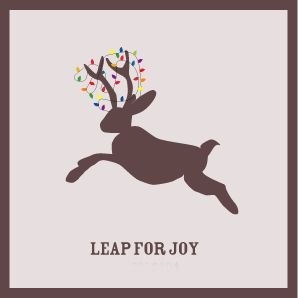 And then - are you looking forward to leaping with joy like a calf let out to pasture?? :) I love this metaphor... it will stick with me. Bible.org's commentary on today's readings in Malachi titled "God's Justice and Faithfulness" is at this link and "Preparing for the Day of the Lord" is at this link. Chapter 22 verses 1 & 2 are so beautiful: "And the angel showed me a pure river with the water of life, clear as crystal, flowing from the throne of God and of the Lamb, coursing down the center of the main street. On each side of the river grew a tree of life, bearing twelve crops of fruit, with a fresh crop each month. The leaves were used for medicine to heal the nations." This river combines the elements of the river in the Garden of Eden - see Genesis 2:8-14 - and the river flowing from the temple in Ezekiel's vision - see Ezekiel 47:1-12. I love this idea of this "river of life". There are so many beautiful allusions to God and grace being like water or a river in the Bible - particularly in the Psalms. A river that heals us. I love this. 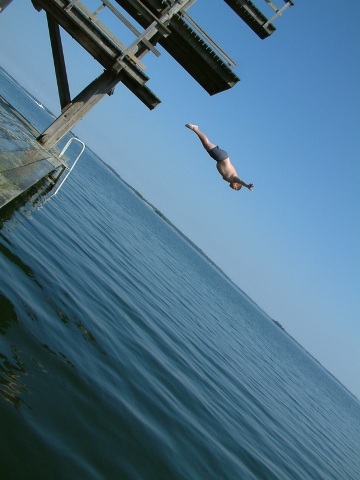 There is a great song by Steven Curtis Chapman about diving into the river. I think it's called "Dive" on his Speechless CD. This song of his reminds me so much of these verses. One of his lyrics goes something like: "The River's deep, the river's wide, the river's water is ALIVE! So sink or swim, I'm diving in!" Do you want to dive into this holy river of God? Do you want to be healed and purified by it's waters? Will you dive in? Verse 8 is powerful for us to reflect upon, where we see an angel speaking to John after he fell to worship the angel: ""No, don't worship me. I am a servant of God, just like you and your brothers the prophets, as well as all who obey what is written in this scroll. 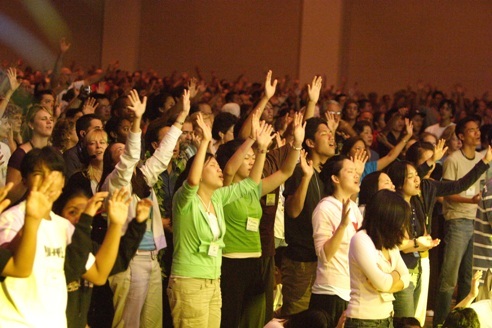 Worship God!"" My thought here is that do we sometimes worship other people in our life? 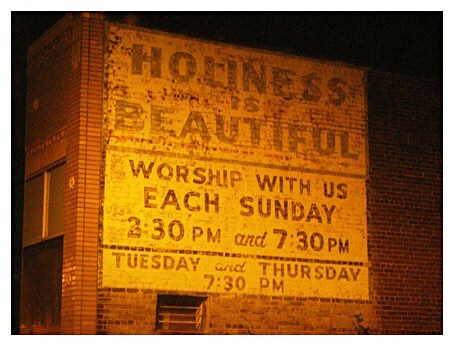 And does this worship of other people ultimately take away from our worship of God? Meaning, I think it might sometimes be tempting for us to "worship" our pastors or ministers or spiritual mentors. But, should we do this? I think we would do well to remember that these people in our life are simply servants of God, like this angel. They are not God. We are called to give our hearts and minds and souls and worship to God and God only. Verse 20 (almost) closes out the book of Revelation with these words: “Come, Lord Jesus!” Are these three words a prayer of your heart? Should they be? It’s only recently that I started praying these words from my heart, and it is an amazing thing to truly pray and truly desire. Come Lord Jesus! 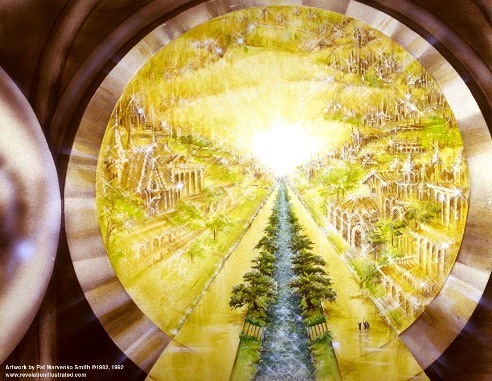 Bible.org's commentary on today's readings in Revelation chapter 22 titled "The Epilogue" is at this link and "Famous Last Words" is at this link. 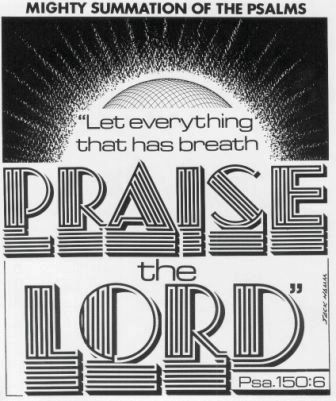 Psalms - Psalm 150 is a wonderful end to the Psalter filled with a call to Praise God with all that we are! Give it up for God and God only! Can you imagine meeting Jesus in heaven? Click here and make your imagination real! Prayer Point: Pray that you are thirsty for Jesus today and every day! Pray that you are daily responding to Jesus' call to you to "Come!" Pray that you will follow Jesus and take the free gift of the water of Life He offers you, today and forevermore. Comments From You and Question of the Day: For those of you wrapping up the One Year Bible today in 2018, I'd like to ask you to post up your reflections on this experience in the Comments section below. The reason for this request is because we have hundreds of new folks signing up to take the One Year Bible journey in 2019. What advice would you give them? Any encouragement? What has reading the Bible on a daily basis meant to you over the past year? Has this experience changed you in any way? Thanks for sharing! Also, for everyone, what verses or insights stand out to you in today's readings? Please post up by clicking on the "Comments" link below! It is with a sense of great accomplishment and gratefulness that I comment today. A year ago I started reading the One Year Bible blog without much hope of finishing, because of the times I'd failed before. Although I skipped out most of Ezekiel because I got really behind at one stage, I got through the rest. YAY! Knowing that there was a community of readers doing this with me, and being able to interact with you all through comments was a key ingredient for me. Thank you to all who posted. Mike, thank you so much. Your commitment to this blog is admirable, and your humility is inspiring. 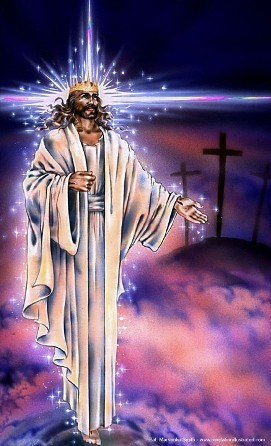 I think you must be one of Jesus' heros when I see how many lives you are touching daily through your obedience to Him. Having read the whole Bible now, I have a much better idea of God as the beginning and the end, God working through history, God unravelling His love-plan and God reaching out to us. I have a much better understanding of Israel and the Jewish nation, and how they are a precious part of the fact that I am a Christian today. Praise You, Lord for drawing near to us. Praise You for The Message. It is another year of going through the Bible with "One Year Bible Blog" as my guide. I've been able to use this guide now for many years. I often use the same bible, but have so much written in the margins and underlined or highlighted that I've often used a different translation each year just to get a little different 'take' on each passage. I've also extended my study of these daily readings by using an on-line commentary or a hard-copy one to get a little more insight into a particular section. I really appreciate the questions that are posed in the blog as it brings many practical and applicable issues to my own life for the day. I'm looking forward to starting all over tomorrow! I've used this site for several years now and I'm finding that without trying, I'm actually memorizing passages. How wonderful to have the Word of God internalized. I appreciate Mike's compilation of commentary, questions, art, and music. Thank you for your blogs here as well as with the chronological one year readings. Your insights help bring these passages to life and furthers knowledge of the Word of God! Thank you Mike for your commitment to offering an inspiring way to read or listen our way through the Bible. The best time for me to listen to Tom Dooley read is first thing in the morning after I pour a cup of coffee and get my crocheting or knitting. The house is quiet, and it's a good time to spend time connecting to the Lord. This is my third time through the Bible, and yet, there are times when I read or hear scripture that I don't remember every reading before. Or sometimes I will read something and want to know more about it, and it is so easy using the computer. THe one thing that has helped me most this year, is that I have heard this phrase over and over" God is in charge." I have known this, but it really was a comfort to me with all chaos from disasters that have been going on around the world, and just from the frightening behavior of people who are out to hurt others. We don't know His plan, but we do know that He loves us, and if we show our love to Him, profess to Him that He is our LOrd and savior, there will be a happy ending! God Bless all of you. Make finding a time and place to read your Bible a priority. It will be a blessing and expand your faith. Mike I've been with you ever since you stared this wonderful ministry and will continue with you as long as I'm physically able. God bless you and your wonderful family Mike! Mike I so appreciate your faithfulness publishing the One Year Bible Blog. My quiet time with Jesus is the best part of my day. I discovered your blog about five years ago and am blessed every year by your comments, the art and music, the links for digging deeper but most of all the WORD is working in me. I'm looking forward to next year. May God bless this ministry for his glory. In Jesus name amen. Thank you for the One Year Bible Blog! The pictures, comments and questions in this blog encourage me to read and meditate on God's Word each day. Reading His Word with the companion of this blog has been a true blessing. I look forward to starting again tomorrow. Thank you Mike, and thank you to all who comment. 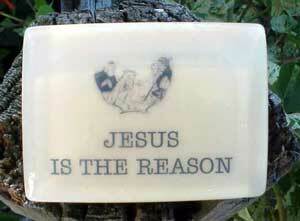 May God continue to use this blog to bless many with His Word of Truth, pray in Jesus' Name, amen.